Master One is the new 3-axle work centre specifically designed for the processing of stone and sintered materials, capable of carrying out all of the machining operations necessary within a marble workshop without compromising performance. The work centre boasts an unbeatable relationship in terms of quality and competitiveness on the market, which make it an ideal investment. With a simple design and equipped with all of the functions, Master One is a work centre that is suitable for every kind of client, from the most expert to the small artisan craftsman. The new Master débuts in the cell with Master Loader, a robot designed and built to optimise all loading and unloading times for work centres and water-jet machines. 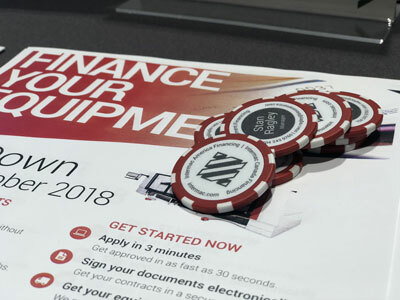 Once again present at the stand are the Genius and Busetti range of products for the cutting, processing, and transformation of porcelain stoneware and sintered materials, for the creation of products that are in tune with current trends in the furniture design market. 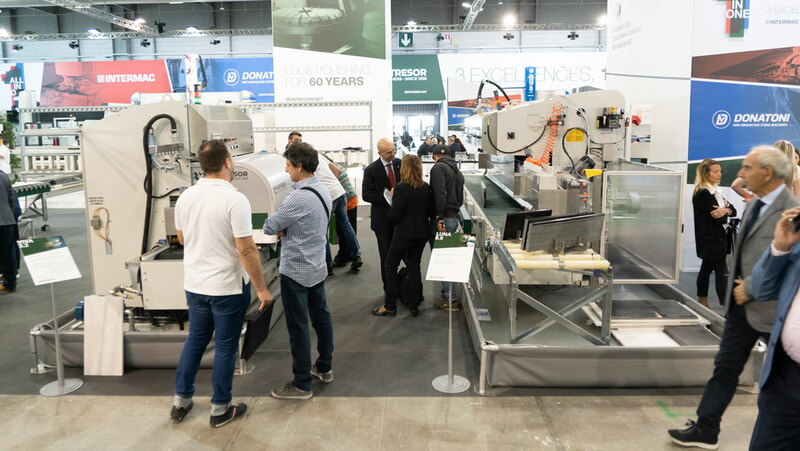 A leader in the production of bridge saws and work centres, presents, at Marmomac 2018, new products and solutions for the processing of marble, granite, and natural and sintered stone for the stone sector. 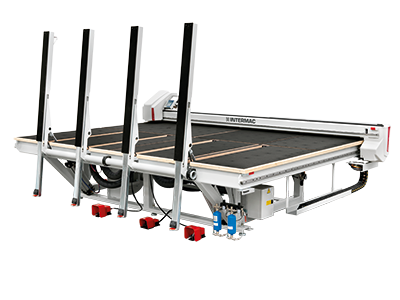 The newest development for 2018 is the new REVOLVER Multiplate Platform, specifically created to carry out serial machining operations for small and medium-sized objects. This table is paired with the new Cyberstone CR02 anthropomorphic robotic system, which includes the technology of the CR01 version, but with a cylinder block solution equipped with a swivelling platform. 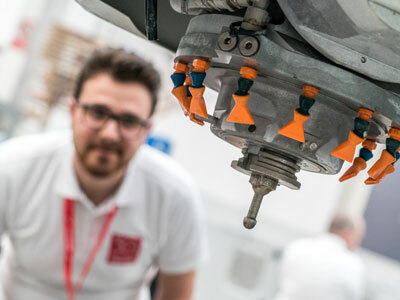 In addition to these two solutions, Donatoni Macchine presents the ECHO Twin 725 CNC bridge saw, with patented double work bench system and a totally refurbished structure which increases even further the precision of its cut and machining operations; the DV 1100 cutting and shaping work centre; our DG 2000 work centre par excellence; the best-selling JET 625 CNC bridge saw; and lastly, the SX-5 multispindle cutting centre, a machine like none other of its kind, patented, and created specifically for the serial production of claddings. 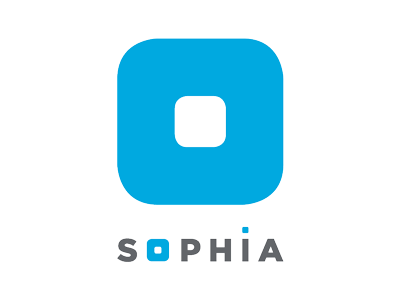 Thanks to SOPHIA, the new IOT platform of Intermac services, the process of factory digitalisation is further made a reality. The new platform, already available, provides, in real time and through intuitive dashboards, information and data from machines distributed around the world. 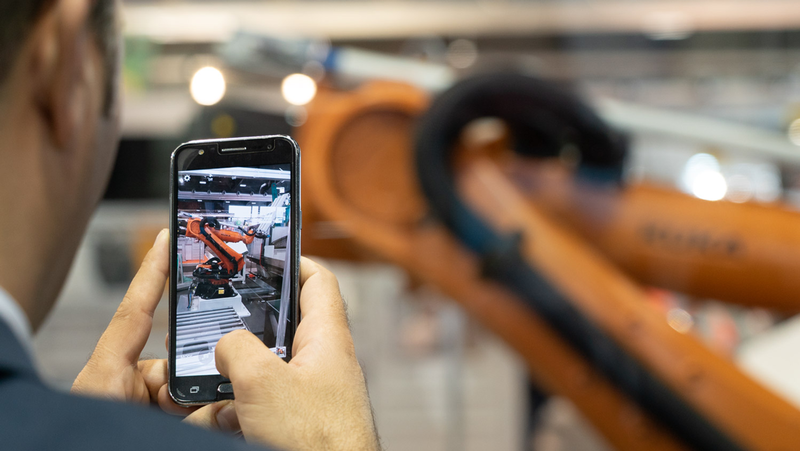 This data makes it possible to monitor production, analyse how the machines are functioning, identify malfunctions, assist clients in maintenance operations, order replacement parts in less time, and conduct preventative maintenance. 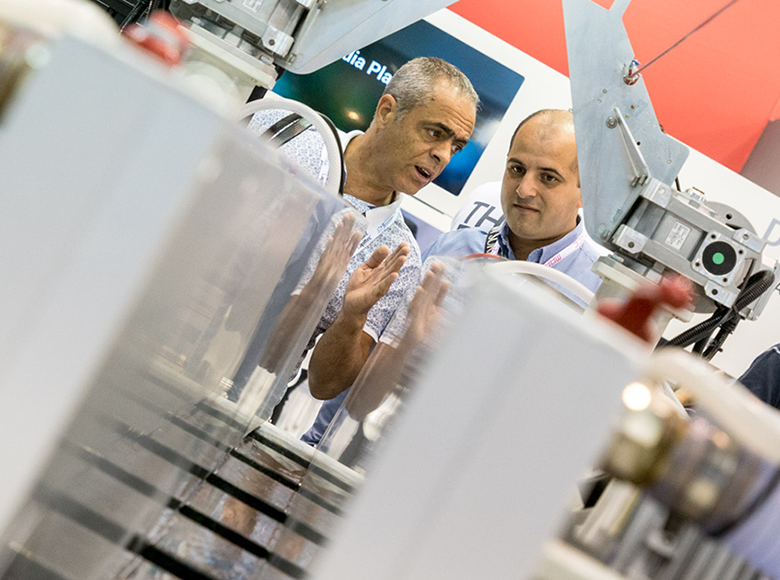 Diamut is ready to demonstrate to all who attend Marmomac 2018, the reality of the technology that it produces daily to anticipate the needs of a constantly evolving market. The primary solutions for the machining operation of edge-polishers, paving blocks, and funerary art will be presented. 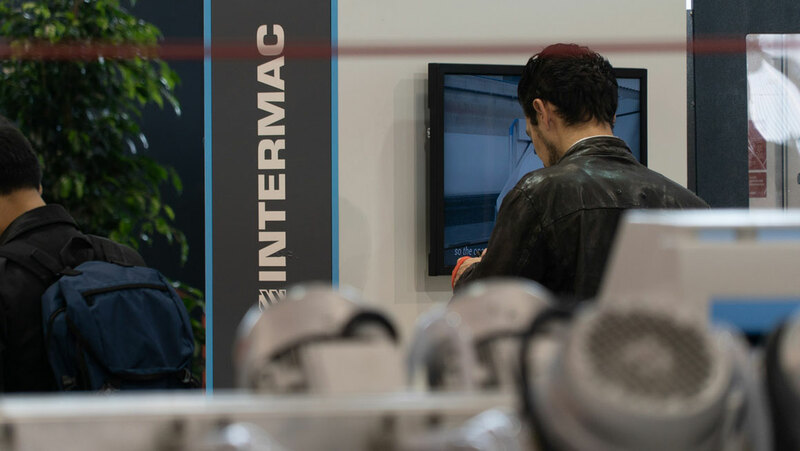 Diamut is also present at the Intermac stand with an internal demonstration area in which the protagonists will be the items created by tools guided by the careful eye of machines from Biesse Group's stone division. 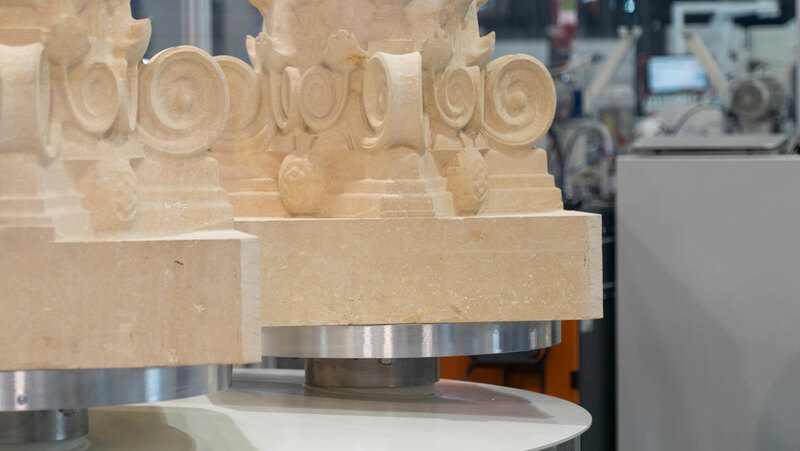 It is water that animates The Italian Stone Theatre, the pavilion dedicated to Italy's high quality stone industry and which returns to Verona on occasion of Marmomac 2018. The theme for the 2018 edition is Wellness & Hospitality, which includes the use of stone materials in the creation of furniture, products, décor, and architectural elements for hospitality and wellness structures. Intermac, for the third year in a row, participates in the exhibit “Ristorante d’autore” [Designer Restaurant], and, together with prestigious names in Italian design, uses its technological expertise to interpret the projects which have been specifically studied, transforming them into artefacts and prototypes capable of fully expressing the excellence of Made in Italy.